Description: UMI’s 1993-2002 GM F-body bump steer kit allows adjustment of the outer tie rod height which in turn can help reduce or eliminate toe change during wheel travel. 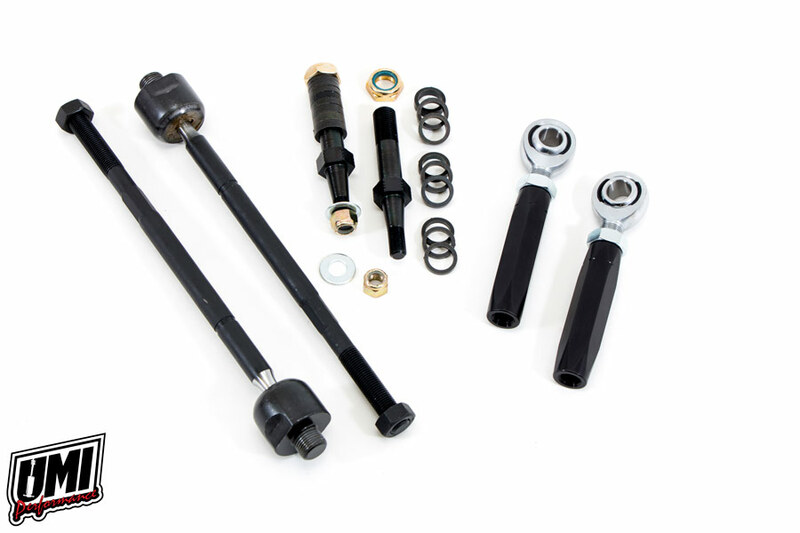 The kit includes a CrMo bump steer stud and washer kit with a wide adjustment range along with an anodized sleeve and high quality Proforged inner tie rod (no cutting the factory tie rod with this kit, we include a new proper length one). This race proven kit helps improve steering precision and feedback. Manufactured and raced with pride out of Philipsburg, PA – USA. CrMo bump steer stud with black oxide finish. Clear anodized aluminum hex tube. Race quality lined rod ends. High quality correct length Proforged inner tie rods included, not tie rod cutting like other kits. 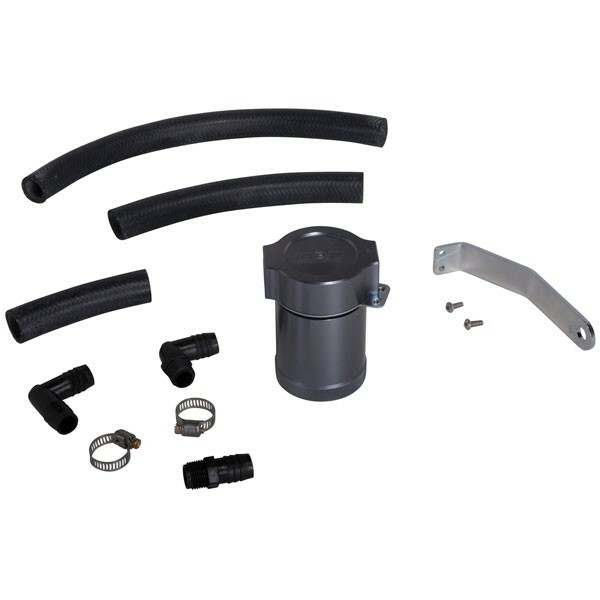 Spacers (6 each 0.125”, 0.1875” and 0.250”) and locking nuts included.